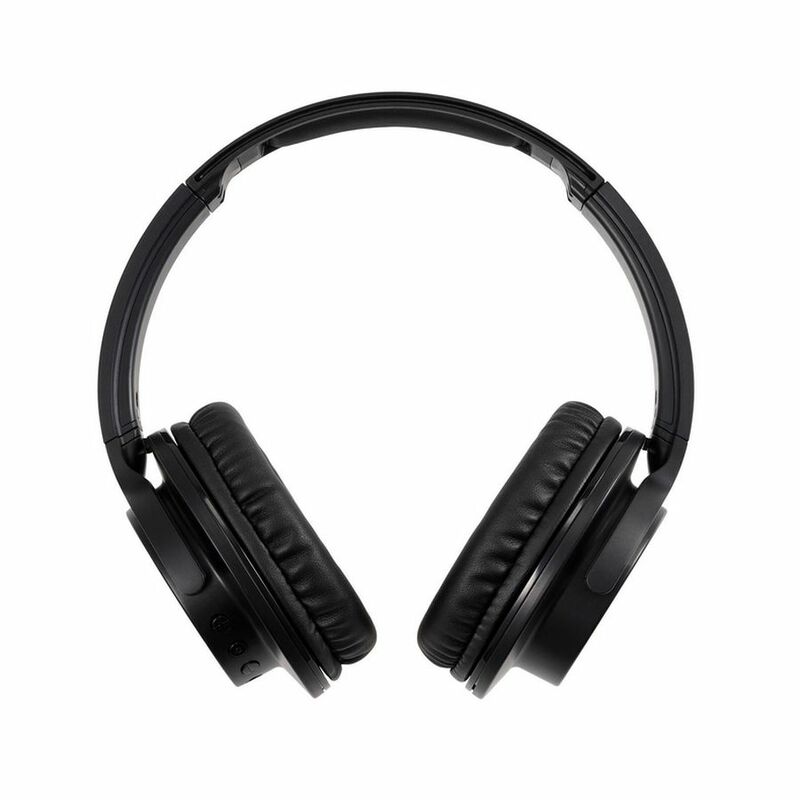 QuietPoint® Wireless Active Noise-Cancelling Headphones with mic and controls built into the ear cup for convenient handling of calls, music playback and volume adjustment. 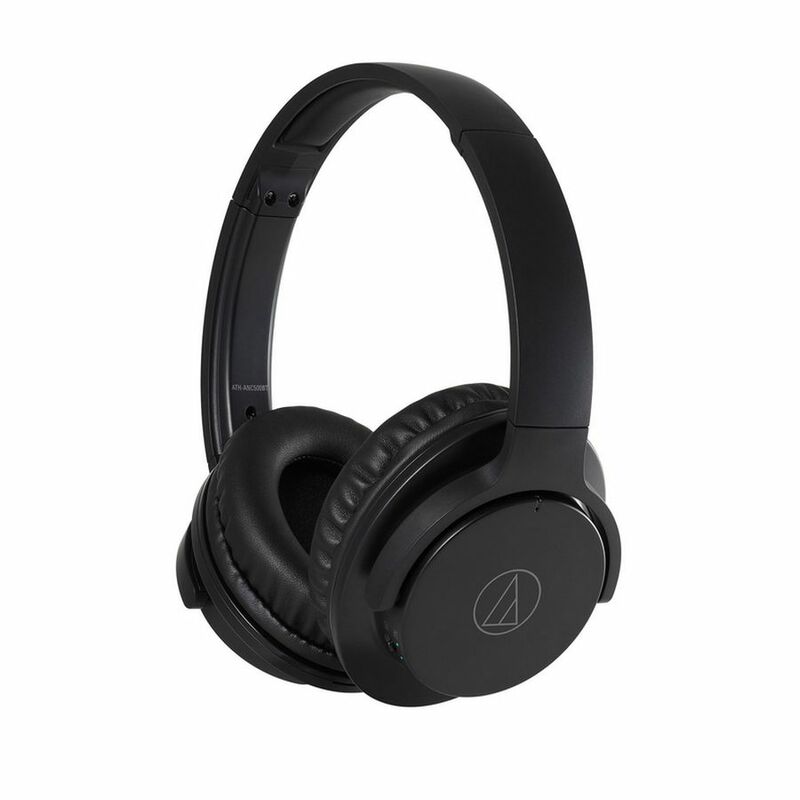 The ATH-ANC500BT QuietPoint® wireless over-ear headphones use proprietary active noise-cancelling technology to provide a comfortable listening environment in areas with high ambient noise. 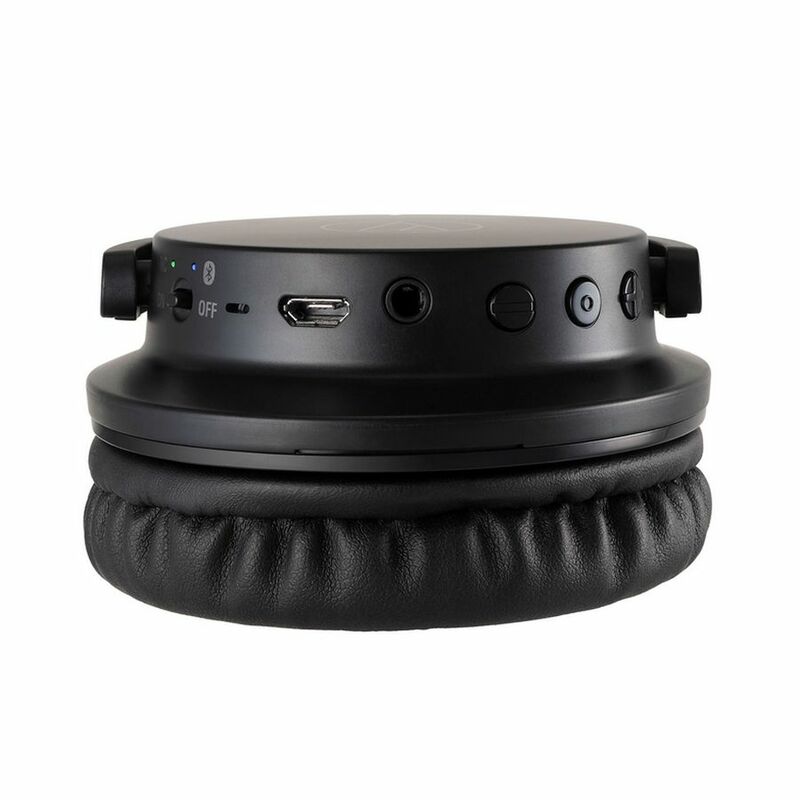 They also feature Bluetooth® wireless technology and have a mic and button controls built into the left earcup for convenient handling of calls, music playback and volume adjustment. 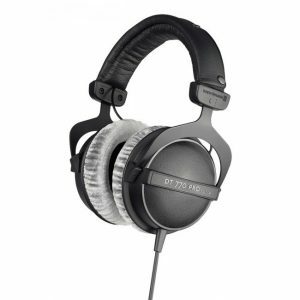 The headphones’ 40 mm drivers supply powerful sound reproduction with exceptional clarity, whether operating over a Bluetooth wireless connection or a standard wired connection using the included 1.2 m audio cable with 3.5 mm stereo mini-plug. Memory-foam earpads provide excellent sound isolation and amazing comfort, and the earcups fold in to make the headphones more compact and easy to transport. 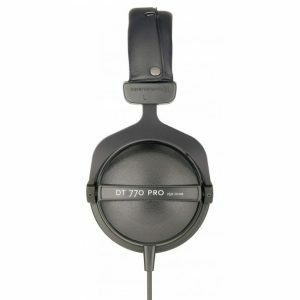 An internal lithium polymer rechargeable battery powers the headphones, giving you approximately 20 hours of continuous Bluetooth and ANC use on a full charge. A 30 cm USB charging cable is included. 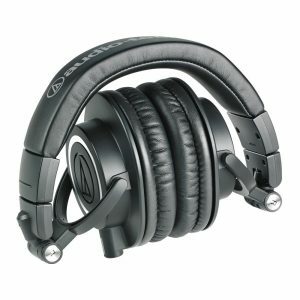 Available in black (ATH-ANC500BTBK) and navy (ATH-ANC500BTNV). **Above figures depend on operating conditions. 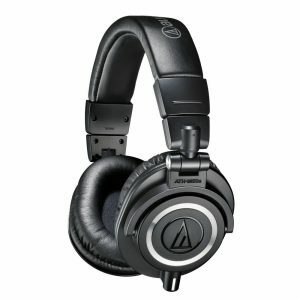 As the most critically acclaimed model in the M-Series line, the ATH-M50 is praised by top audio engineers and pro audio reviewers year after year. New colours available! 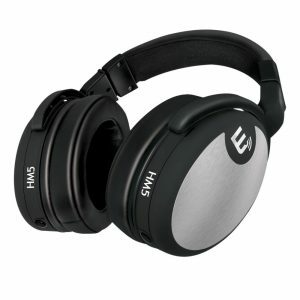 Closed reference headphone for control and monitoring applications.